Results and interpretation of genealogical, historical and genetic research. Michał Kokowski (ed. 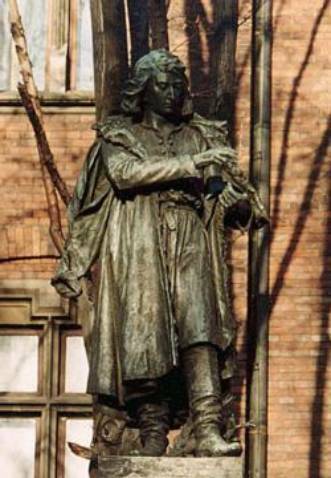 ), The Nicolus Copernicus grave mystery. A dialog of experts. (2015), pp. 209–304. Michał Kokowski (red. ), Tajemnica grobu Mikołaja Kopernika. Dialog ekspertów (Kraków 22–23 II 2010) (2012), pp. 217–314. The article presents a comprehensive critique of the argument in favour of the discovery of the remains of Nicolaus Copernicus. It analyses the arguments based on genealogical, historical and most of all genetic considerations, including the mathematical fundamentals of estimation a random match of mtDNA profiles. 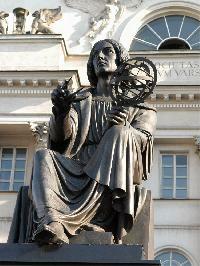 The following assertion results from the presented criticism: Based on the results provided by the team of Jerzy Gšssowski, it is not possible to reasonably claim that the grave of Nicolaus Copernicus was discovered. Therefore, this research should be continued in order to increase the strength of the argument and obtain new evidence. Keywords: Nicolaus Copernicus, Copernicology, likenesses of Copernicus, Copernicus’s ethnicity, genealogy, mtDNA, Y-DNA, mtDNA and Y-DNA population bases, methods for estimating the probability of a random match of mtDNA profi les for the general case and the extreme cases, genetic genealogy, ethnogenesis of Slavs and Germans, ethnic origin of the population of Silesia, ethnic origin of the Toruń burghers, methodology of interdisciplinary research. On the defectiveness of the argument for the finality of the discovery of the remains of Nicolaus Copernicus. Part 1.